RWB Paul McWilliams with MW and Illustrious Brother Michael D. Smith, Sovereign Grand Inspector General and Grand Master of Ancient Free Masons of South Carolina. RWB Paul McWilliams, Past Master and current Secretary of Inman Masonic Lodge, as well as current District Deputy Grand Master of the 20th District, was invested with the Knight Commander of the Court of Honor of the Supreme Council of the Scottish Rite, Southern Jurisdiction, on Friday, October 6th. 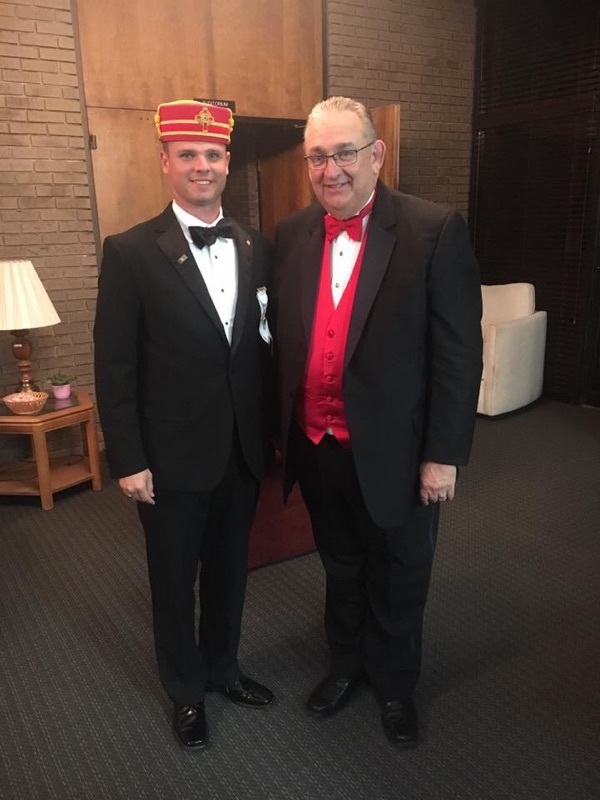 This honor, informally referred to as receiving the “red hat”, is conferred to a limited number of 32° Masons by the Supreme Council for their commendable service to the Rite, to Masonry, and the world at large. Congratulations to RWB Paul for receiving this distinct honor! Newer PostWelcome, Brother John Hansborough!